Hundreds of vacant lots in Detroit, Michigan will soon be transformed into the world’s largest urban farm. Governor Rick Snyder has just approved the plan proposed by a private company that has bought up 150 acres of land. Hantz Woodlands will turn the sites into workable farmland to produce fresh food for the Detroit area. Hantz Group owner John Hantz conceived of the giant urban farm idea five years ago. 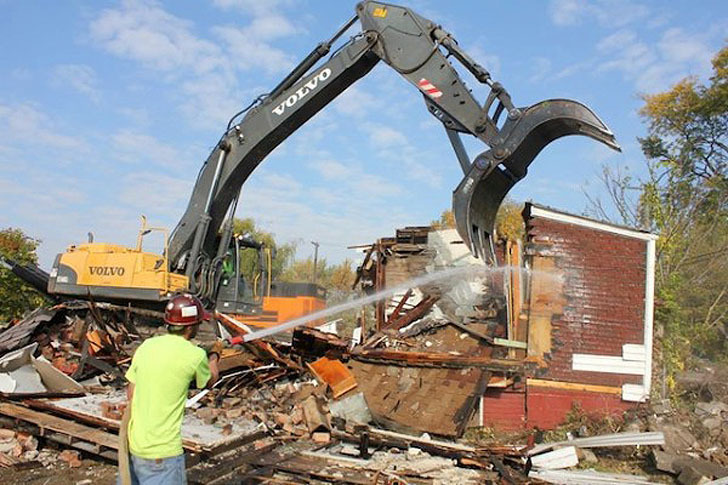 Since then, he has been battling the city of Detroit for permission to buy up the 1,500 parcels of vacant city-owned land. Although officials were concerned about selling Hantz so much land for such a small sum, the council finally voted it through with the introduction of the urban farm idea- albeit just barely with a 5-4 vote. Despite being perhaps naively ambitious, the plan could transform some of the poorest neighborhoods in Detroit into sustainable farming centers and mitigate the city’s food desert. Should the project prove successful, Hantz Woodlands will have the option to buy 180 more acres in two years. Hantz is not a farmer, just a real estate speculator. Of course that makes sense, because Snyder is a governor, he's a crook. I know a lot of urban farmers in Detroit and none of them like Hantz. What a bunch of phoney CRAP ~ Hantz tried three times to buy these properties, mostly disconnected lots, mostly to hold them until land values go up. He changed the company name to Hantz Woodlands, supposedly to grow trees, and saying he would hire local teens, etc to work. He did not REMOVE the debris ~ only shoved it to one side, and planted STICKS, asking for people to DONATE their time, in exchange for pizza. A greed grab by a greedy speculator. There is a 400 acre farm within the city limits of Stockholm, Sweden, I'll used to run it! Don't raze them, deconstruct them for materials to refurbish the parts of the city that are still standing.